A group of white and black residents of Syracuse, New York break into the police station and free a runaway slave who has been captured and is about to be returned South into slavery. When the slave, William Henry, is later recaptured, a group of men then break into his hearing, overpower the guards, and help him escape to Canada. Birth of Albert Saint-Martin (1865-1947), labour militant and socialist. 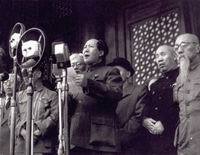 Mao Zedong proclaims the establishment of the People's Republic of China. 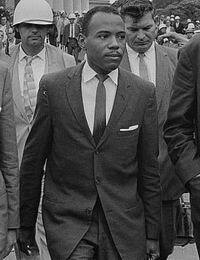 James Meredith becomes the first African-American student to enrol at the University of Mississippi. In the face of rioting by white racists, the U.S. government sends in troops to protect Meredith and impose de-segregation of the university. More than 200 federal marshalls and soldiers are injured in the riots, and two people die. Meredith goes on to graduate the following year. Campus police at the University of California, Berkeley arrest Jack Weinberg for violating a ban against political advocacy on campus. He had been sitting at a table for CORE, the Congress on Racial Equality, distributing literature supporting the civil rights movement. When Weinberg is put into a police car, students spontaneously surround the car to prevent it from moving. The blockade, which eventually involves some 3,000 students, continues for 32 hours until police agree to release Weinberg. The events mark the beginning of the Free Speech Movement at Berkeley, which is seen as a pivotal moment in the civil rights struggle of the 1960s. The Indonesian military begins a massive purge of communists, suspected communists, and others seen as undesirable elements. In the course of the next year, between 500,000 and one million people are murdered. The U.S. government provides weapons and encouragement. Death of Eric Hobsbawm (1917-2012), Marxist historian.